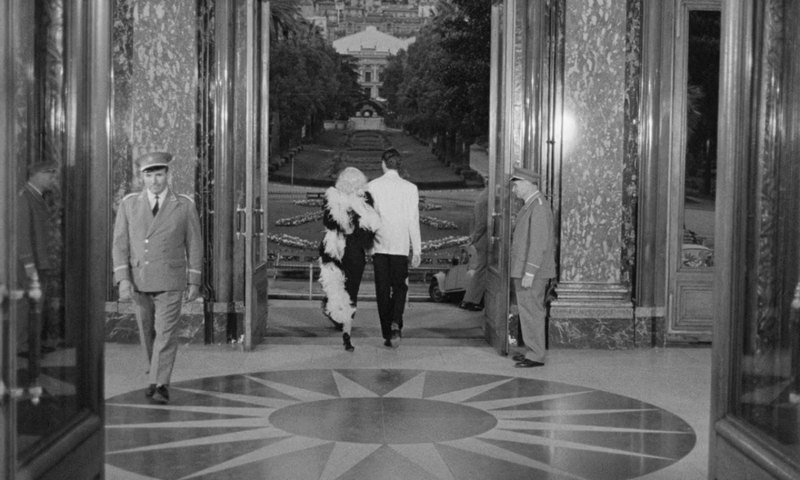 SET IN CASINOS ALONG THE FRENCH RIVIERA, Jacques Demy's La baie des anges follows the rambling affair of bank clerk Jean, and seasoned gambler Jackie, as they drift through a seductive, risk-taking lifestyle. Though Jean is characteristically opposed to Jackie in his values, he falls in love with her, only to be warned that gambling will always be her greatest passion. Contrasting elements are central to the film. 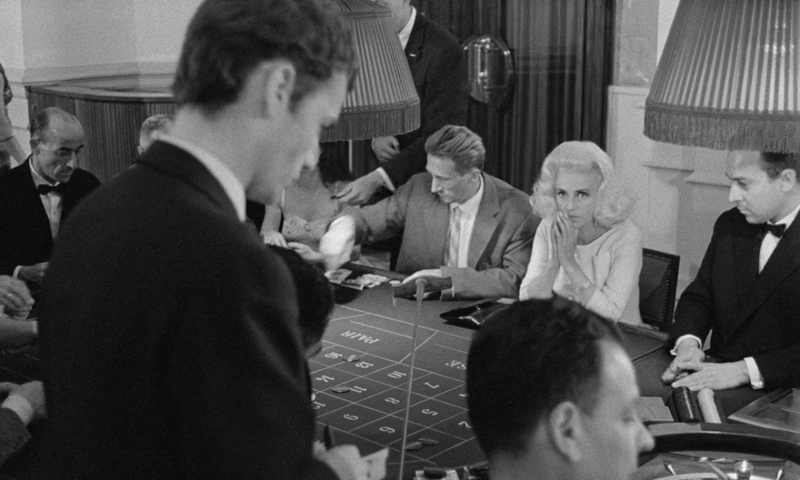 The red and black of roulette determine Jean and Jackie's fortune, which proves fleeting. Black and white apparel strategically sets them apart from the crowd, with white drawing greater prominence to the wearer. 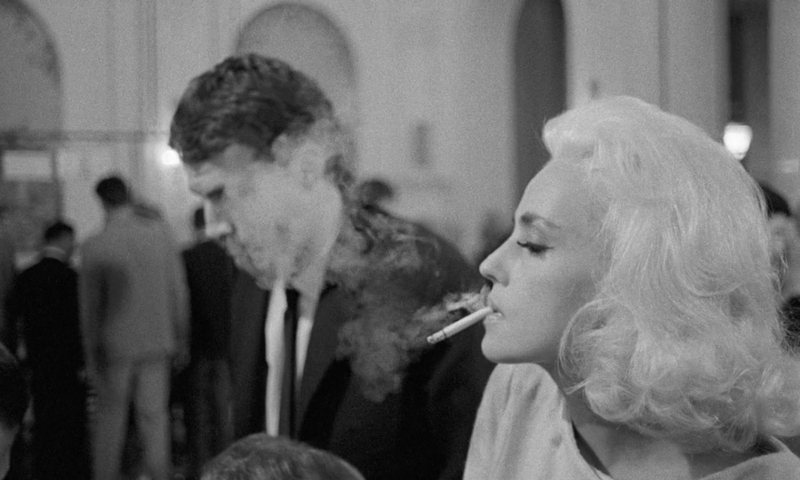 Jackie's unnaturally platinum blonde hair gives her a heightened visual intensity against the rest of the casino-goers. A divorced mother who rarely sees her child, she is made to act and appear lacking in morals, obsessively seeking thrill in spite of Jean's criticism and attempts to set her straight. Odds and evens, night and day, loss and gain pull the characters back and forth like a pendulum, with no clear progress or direction. Jackie asserts that her addiction to gambling is not about the money, as she would not be so careless with it if so. “What I love about playing is those crazy swings from luxury to poverty… the unknown…” She says. And in the same vein, the experience offered by the film is that of an aimless compulsion, carried out in glamorous environments of 1960s France. 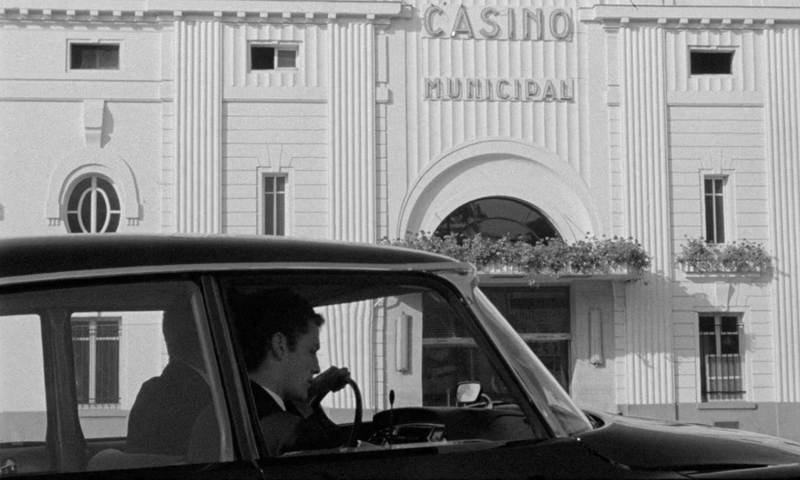 If only for the stunning style and cinematography, La baie des anges is worth taking a chance on for some good old French New Wave. 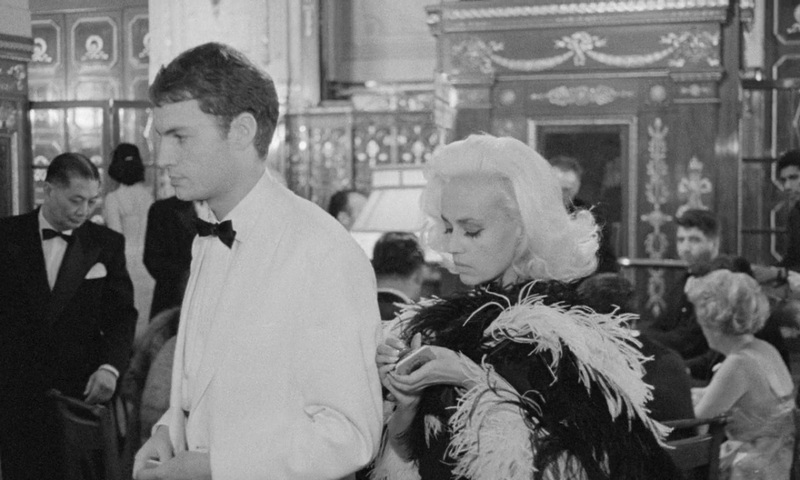 Jeanne Moreau and Claude Mann in La baie des anges by Jacques Demy, 1963.